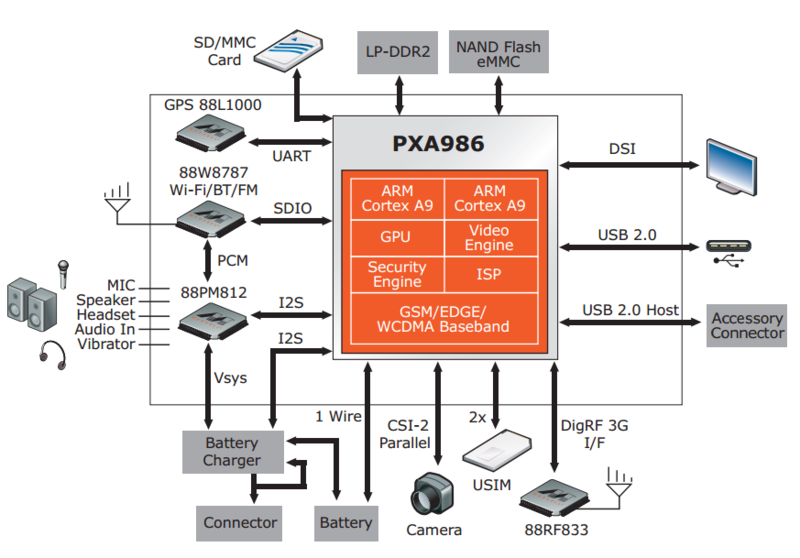 The Marvell PXA986 is an ARM based dual-core SoC for smartphones and tablets (mostly Android based). It contains two Cortex-A9 CPU cores usually clocked around 1.2 GHz and a Vivante GC1000 graphics card. The integrated video processor is able to handle 720p30 content in H.263, H.264 BP and MPEG4 SP encoding. Furthermore, a GSM/EDGE/WCDMA/HSDPA radio is included in the chip.